Express your natural conservation and patriotism with the fastest growing elm tree in the United States. 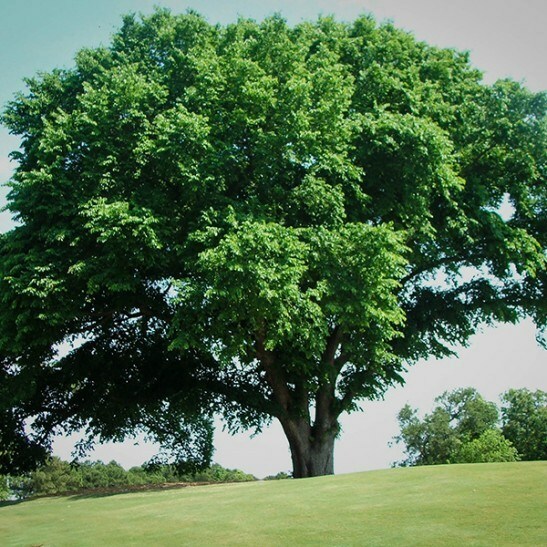 The disease-resistant American Elm Tree is massive, and it is best suited to larger yards and landscapes where the tree is able to grow uninterrupted. This classic American Elm provides splendid shade, even cooling the yard and buildings substantially enough to reduce air conditioning costs. The stunning American Elm Tree was once the giant of the deciduous forest, covering much of the United States. Dutch elm disease destroyed much of the population. You can be part of the solution! Plant a disease-resistant American Elm to both help build up the species and provide yourself with perfect shade. Visit The Tree Center, which carries the best American Elm varieties only, today to buy your American Elm. 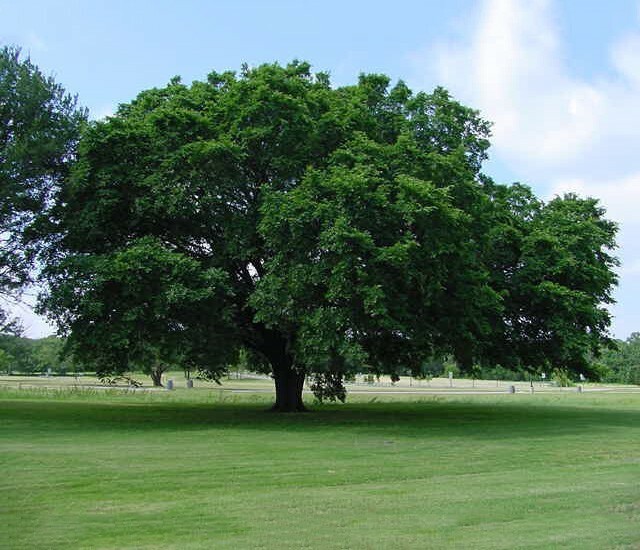 The American Elm Tree is best suited as a large shade tree. Reaching up to 100 feet in height, this stunning deciduous tree dominates the landscape, though the tree often ranges between 40 and 60 feet. The shade of the American Elm is expansive and peaceful, so it is perfect for changing the character of the yard. Place a picnic table or restful bench under the American Elm’s gentle spread or a tire swing from one of its strong boughs. A classic of American culture, this Elm tree will create an ambience reminiscent of simpler times. Once the king of the deciduous forest, the American Elm has been haunted by the advent of Dutch Elm Disease. You can help the tree regain its status as a symbol of the American forest by adding disease-resistant American Elms to your property. The American Elm has a fast growth rate once established; between 3 and 5 feet a year of new growth once established. 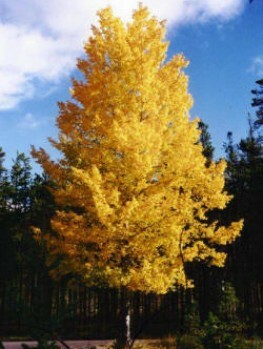 The tree has slower growth during the first few seasons. Planting location, watering schedules, fertilizer, sun exposure, soil conditions, and daily care may all affect the regular growth rate of the American Elm. 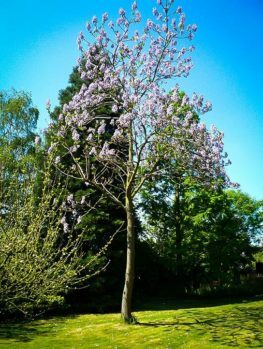 After the tree has been successful for several seasons, its growth rate will likely increase significantly. Successfully rooted American Elms can grow voraciously. 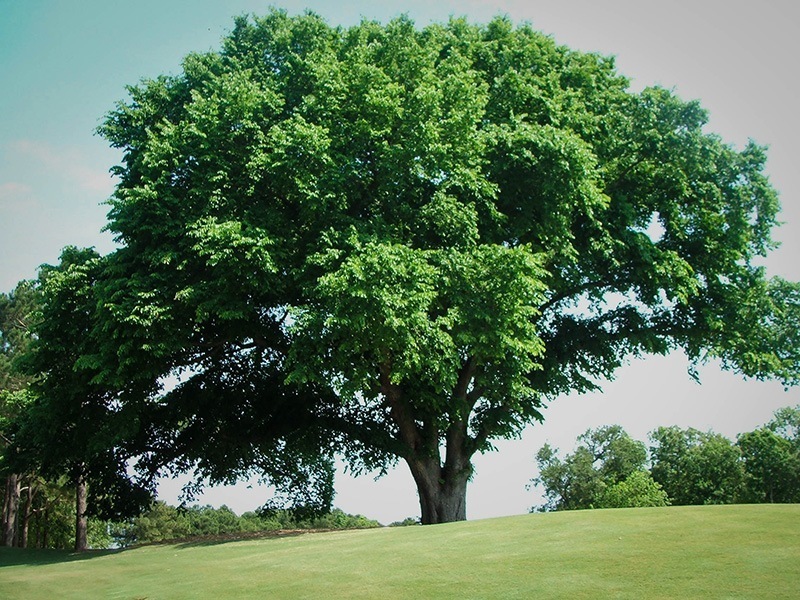 The classic American Elm Tree has become a popular landscape tree throughout the United States. Charming shade and peace await you in the kind arms of the American Elm. With a spread of between 40 and 50 feet, there is plenty of room to rest. Remember that the shade of the American Elm will help to lower electricity costs. Less air conditioning is needed on a property where the shade of the American Elm covers both yard and home. Conservation of the American landscape is something most arborists can agree on. The use of the American Elm not only reduces electricity costs, but it also helps to proliferate a tree that for a time was feared lost. Dutch Elm Disease destroyed much of the natural population of American Elm, and it is now up to the landscapers and homeowners of the nation to build up the population again. Plant an American Elm and make a difference! The first few seasons of the American Elm’s growth require the most care. Once the tree has become established, it requires minimal assistance. Natural rainfall and sunlight can take care of the rest. Homeowners love the low-maintenance requirements of the American Elm. For a tree with such massive expectations, the American Elm’s beauty is actually in the details. Beautiful serrated leaves and jagged bark draw the eye in close. Sit underneath the elm and explore its crevices, crooks, and crannies with your eyes. This shade producing beauty is a fast-growing masterpiece. The most important thing to remember if you choose to grow an American Elm is they are worth it. These beautiful shade trees will provide classic American ambience for little effort. Simply ensure adequate watering, sun exposure, and care during the first few seasons. 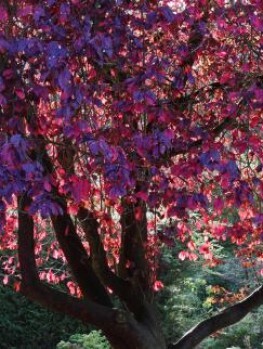 Observe the tree for signs of diseased leaves or branches and once the tree is established, it will grow wonderfully! 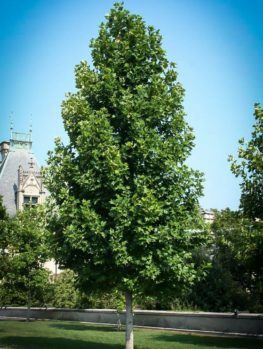 The American Elm reaches between 40 and 60 feet tall, though well-established American Elms have reached over 100 feet in height. 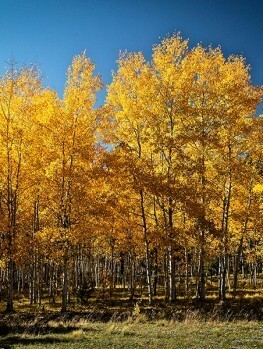 Typically, the width of the mature Elm matches the heights, with averages ranging between 40 and 50 feet. 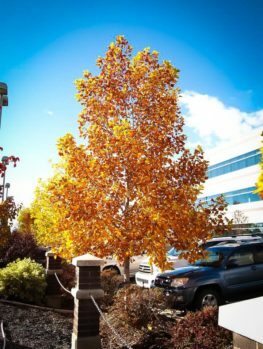 The American Elm benefits both from initial growth at a reputable nursery, such as The Tree Center, and the proper planting you provide at home. The American Elm can grow to be a large tree, so the first step is to find a suitable planting location. Find an area with no higher structures, like power lines or tall buildings, and preferably in full sun. Once you have found the appropriate location, the next step is to dig a hole. The hole should be between twice and three times as wide as the American Elm’s root ball. The hole should 1 inch less deep than the height of the root ball. Once the hole has been dug, simply hold the tree vertically in the hole and backfill with soil and water. If using mulch, apply afterward with a heavy watering. American Elms grow well throughout most of the United States, and they are rated as hardy in USDA Hardiness Zones 4-9. They prefer moist, well-drained soil, but frequently settle for whatever is available. These adaptable trees are relatively unphased by pH or soil type. Be careful when searching for an American Elm tree! Not all American Elms will offer this height and fast-growth. Beware cheap nurseries, which try to sell bare-rooted or branch-cuttings. These will not develop into quality trees. These nurseries even try to cut costs by replacing the American Elm with poorer varieties. 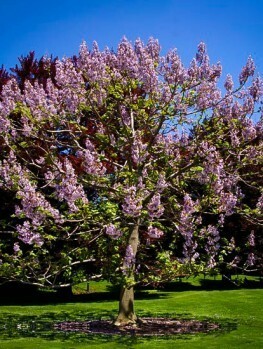 Do not be caught in a species’ trap that will replace the beautiful American Elm with a cheap substitute. The Tree Center remains your trusted stop for high quality, well-cared for American Elm saplings. The highly-trained staff provide the tender love and care that young saplings need to survive. Careful, constant monitoring is part of the package at The Tree Center. A wide range of disease-resistant American Elms await you at The Tree Center. But act now! 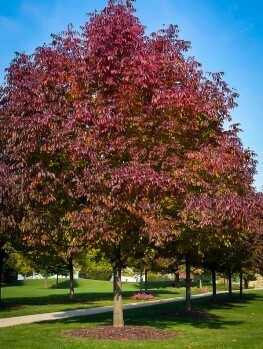 These popular fast-growing shade trees will quickly sell out. Our stock is always changing and our supplies are limited. So visit The Tree Center today to secure your American Elm.